J. Frank Dobie - Professor, lecturer and author. 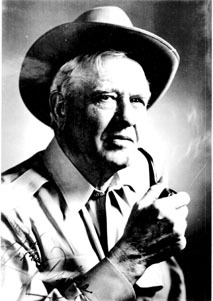 Another pioneer in the collection of stories of the great Southwest. Dobie was the first to recognize the stories of the cowboys and vaqueros as valid a literature as the works of Cervantes or Chaucer. He created a renewed pride in Texas' regional history. He believed a liberated mind as one of man's greatest achievements.